Fully featured drawing tools including straight or curved lines, rectangles, circles, text and a fill tool. These work in the same way that users expect from their experience with well-known software packages and this makes the system very easy to use. Undo and Redo allowing alterations to be made, reversed or repeated quickly and easily. 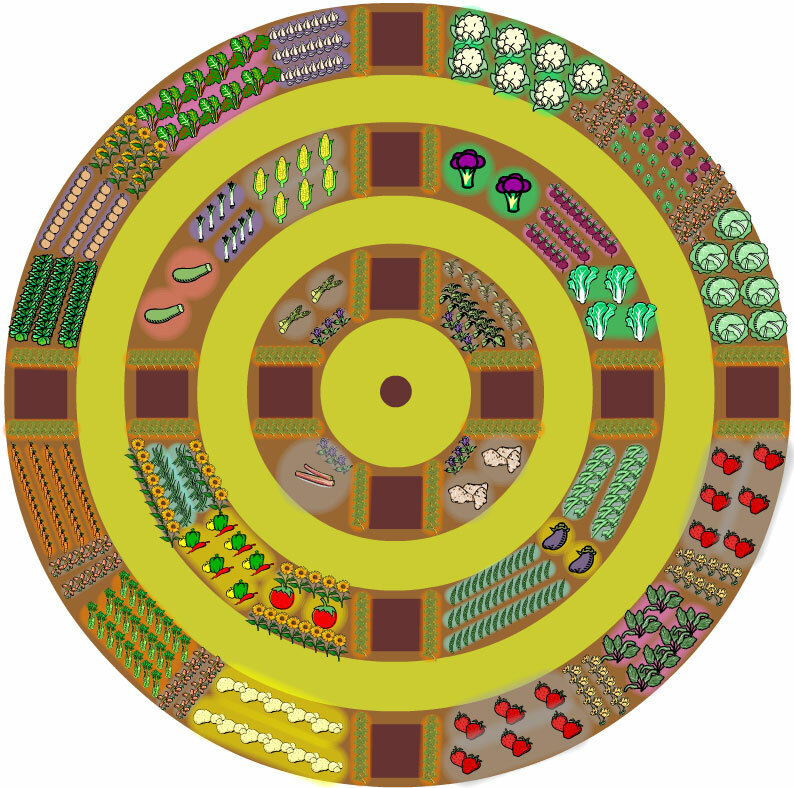 Cut, Copy and Paste so that vegetable beds can easily be replicated or moved. 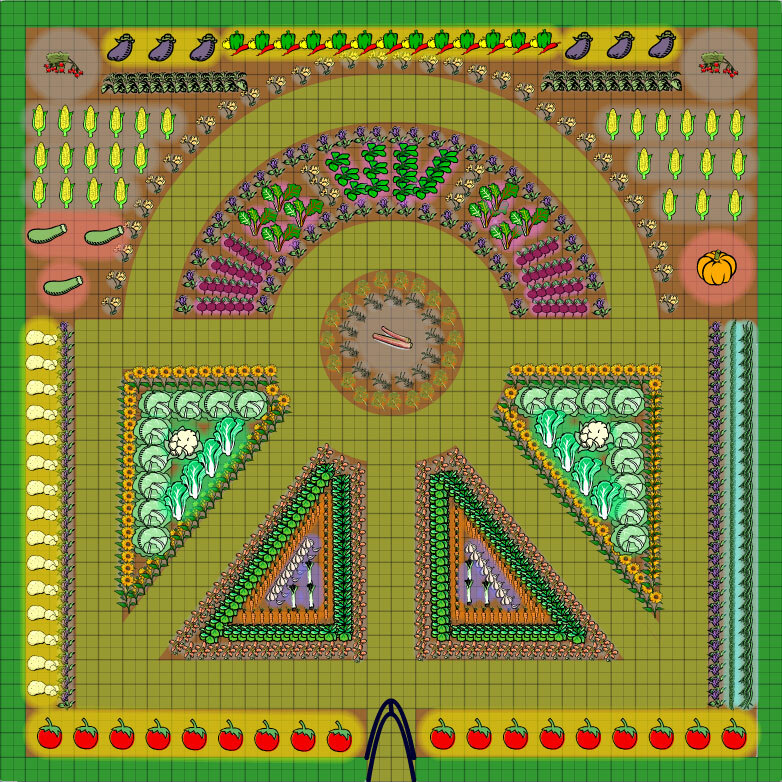 Multiple plans for each year - gardeners can split their garden into separate areas if they wish, so that they don't have to scroll around the screen. Our system then automatically combines the information from all plans for the current year when sending sowing and planting reminder emails. 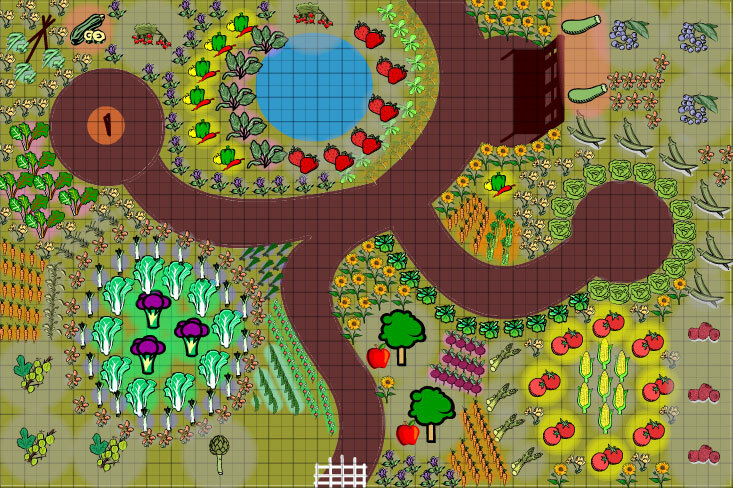 Rollover to next year - it is simple to create a new plan based on the previous one, keeping all the drawing and layout but changing the plants. Succession Planting is easy to organize and the plan can be viewed as it will appear for each month of the year. A formal garden layout in the style of traditional English gardens, this demonstrates how complex bed shapes can easily be built up. For gardens that do not follow a traditional bed system the curved line and fill tools can create beautiful shapes. Concentric shapes and paths can easily be created to produce stunning results. Further information and pricing for the Garden Planner is available from our sales office. Please call us at 727 538 7734 or use our contact form. We can arrange conference calls and remote demonstrations of the Garden Planner at a mutually convenient time – all you need is an internet connected computer next to a phone. Copyright © Growing Interactive Ltd .